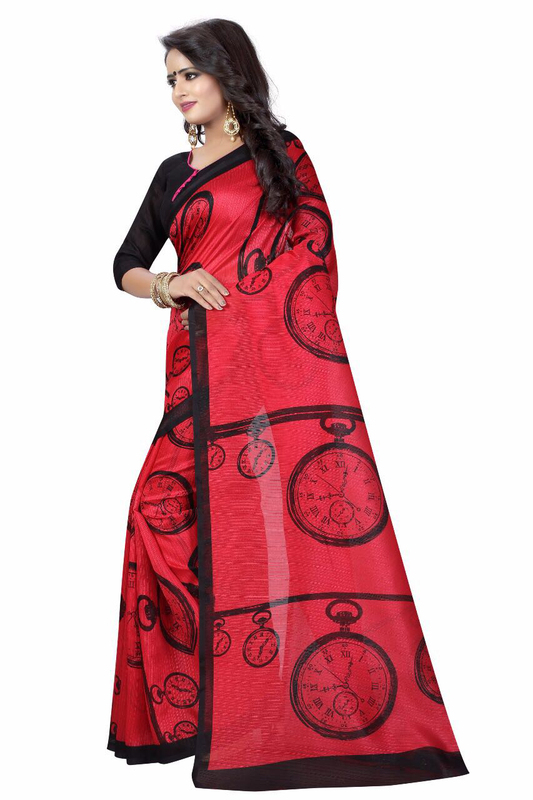 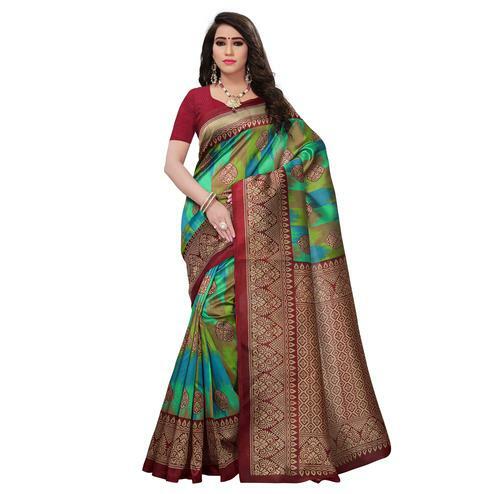 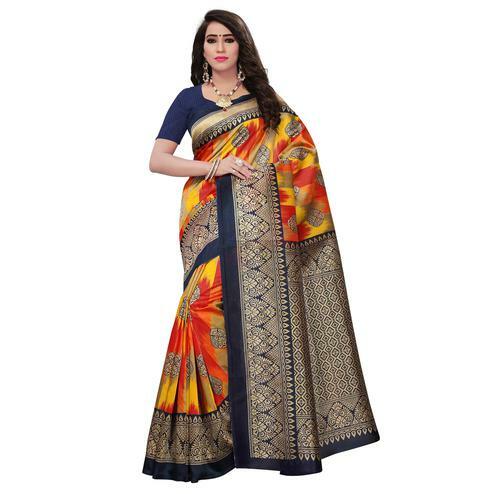 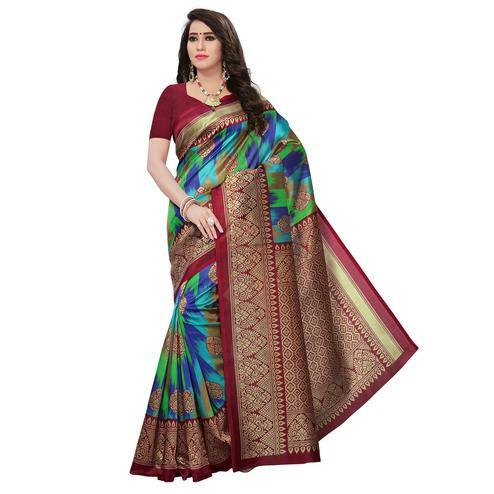 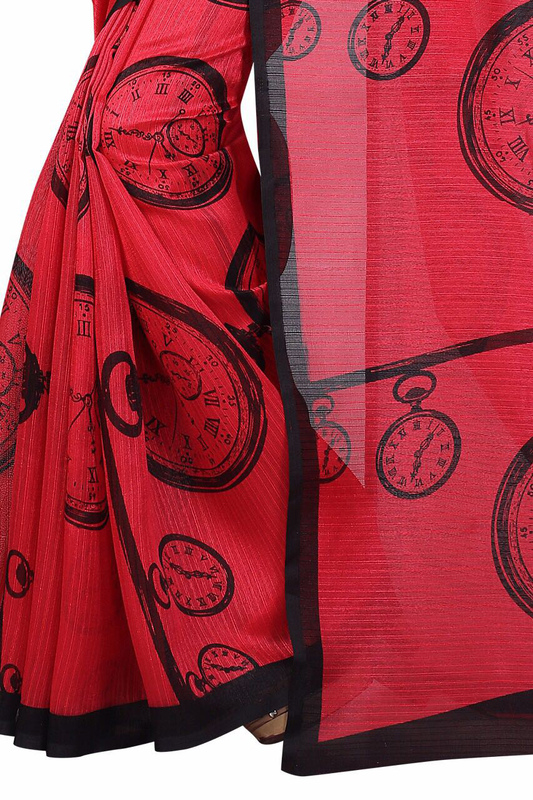 Featuring red banglori silk fabric saree showcasing all over vintage clock prints and solid black color border. 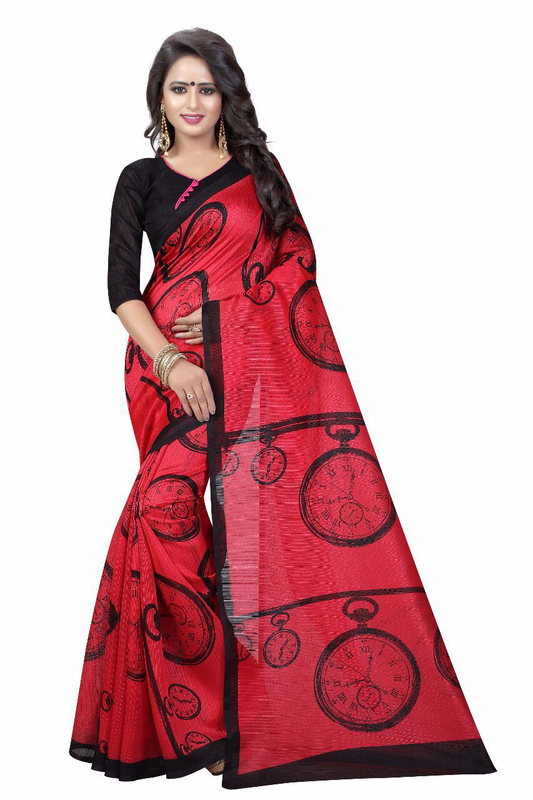 Saree paired with black matching fabric blouse piece in unstitched type. 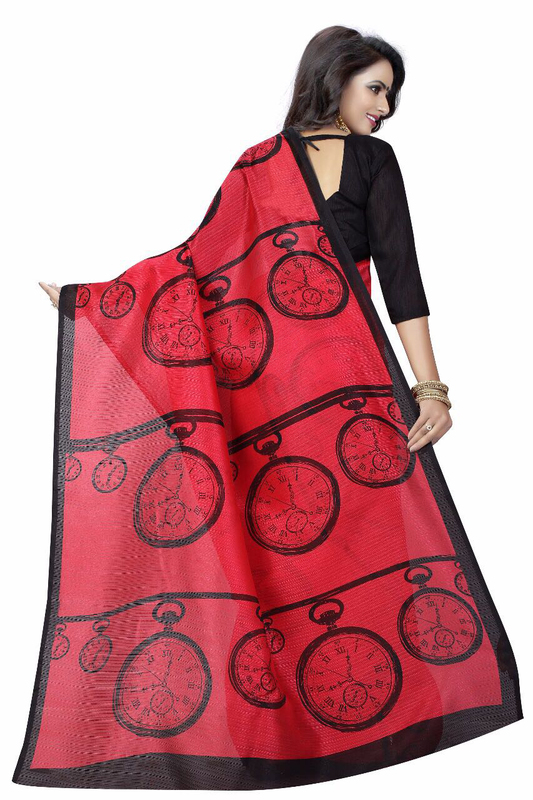 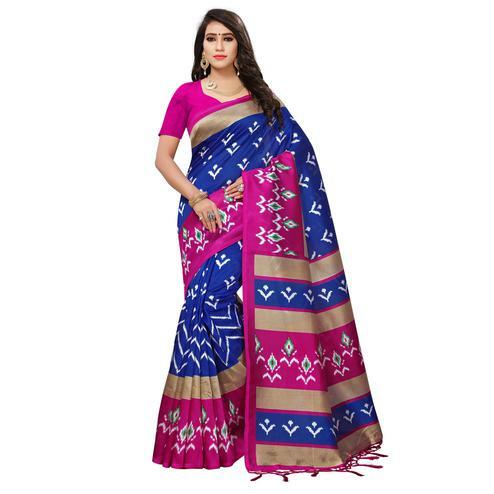 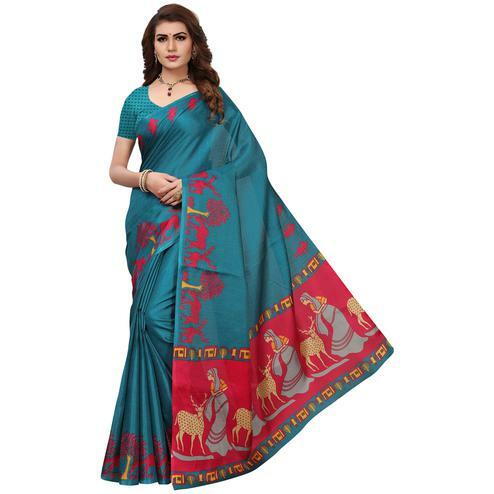 Perfect to buy for casual outing and other homely events as it's durable, lightweight and easy to maintain.